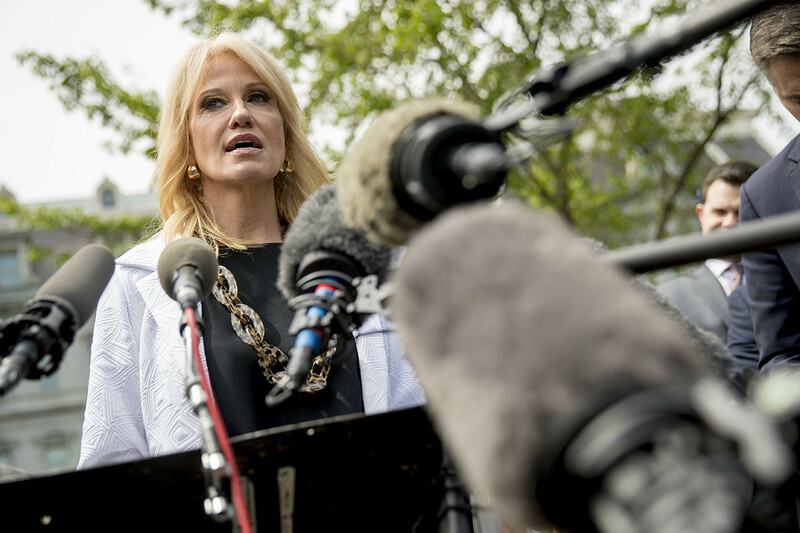 White House counselor Kellyanne Conway on Sunday declined to contradict former White House counsel Don McGahn’s account — as detailed in special counsel Robert Mueller’s report — that President Donald Trump ordered McGahn to take steps to fire Mueller and then asked McGahn to deny press reports detailing Trump’s directive. But Conway also implied that she doubted McGahn would have continued to serve if things had unfolded the way McGahn said they did. According to Mueller’s 448-page report, a redacted version of which was released Thursday by Attorney General William Barr, Trump on at least two occasions in June 2017 asked McGahn to contact Deputy Attorney General Rod Rosenstein to order that the Department of Justice dismiss Mueller. Following the publication of a New York Times article in January 2018 detailing the president’s efforts to have McGahn fire Mueller, Trump pressured McGahn to deny the NYT report, according to the special counsel. McGahn refused. BREAKING — “Explosions kill at least 207 in Sri Lanka on Easter Sunday,” by AP’s Bharatha Mallawarachi and Krishan Francis in Colombo, Sri Lanka: “At least 207 people were killed and hundreds more injured in eight blasts that rocked churches and hotels in and just outside Sri Lanka’s capital on Easter Sunday, officials said, pitching the South Asian island nation into the worst chaos it has seen since a bloody civil war ended a decade ago. FIRST IN PLAYBOOK — THE PRESIDENT’S WEEK AHEAD: MONDAY: The president and First Lady Melania Trump will participate in the White House Easter Egg Roll. TUESDAY: The president will participate in a photo-op with the White House News Photographers Association photo contest winners. He and VP Mike Pence will have lunch. WEDNESDAY: The president and Melania Trump will deliver remarks at a prescription drug abuse and heroin summit in Atlanta. THURSDAY: Trump and Secretary of State Mike Pompeo will have lunch. FRIDAY: The president will deliver remarks at the National Rifle Association annual meeting in Indianapolis. He will meet with Japanese Prime Minister Shinzo Abe. SATURDAY: Trump will hold a political rally in Green Bay, Wis.
Good Sunday morning. Happy Easter! SCHIFF: “Well, you heard another display of alternate facts from Kellyanne Conway today where she could not even acknowledge that the Russians tried to help the Trump campaign and did provide substantial help to the campaign. But look, I’ve been very clear [for a] year, year and a half, that there is ample evidence of collusion in plain sight. MORE MUELLER FALLOUT — “Mueller Witnesses Who Once Served in White House Now Fear Trump’s Ire,” by NYT’s Mike Schmidt and Maggie Haberman: “[S]ome of the witnesses named in the report, who have departed the White House but rely on access to Mr. Trump for their livelihoods, fear his ire. Some have begun calling current and former administration officials and others in the president’s orbit to seek clues about Mr. Trump’s state of mind, according to four special counsel witnesses who spoke on the condition of anonymity. TRUMP RESPONDS … QUINT FORGEY: “Trump lashes out at Romney”: “President Donald Trump on Saturday ridiculed Sen. Mitt Romney (R-Utah) for his loss to former President Barack Obama in the 2012 election — one day after Romney said he was ‘sickened’ by Trump’s actions as detailed in special counsel Robert Mueller’s report. TICK TOCK – “How Michael Cohen Turned Against President Trump,” by NYT’s Ben Protess, William K. Rashbaum and Maggie Haberman: “Michael D. Cohen was at a breaking point. He told friends he was suicidal. He insisted to lawyers he would never go to jail. Most of all, he feared that President Trump, his longtime boss, had forsaken him. ‘Basically he needs a little loving and respect booster,’ one of Mr. Cohen’s legal advisers at the time, Robert J. Costello, wrote in a text message to Rudolph W. Giuliani, the president’s lead lawyer. ‘He is not thinking clearly because he feels abandoned.’ That was last June. The ‘booster’ from Mr. Trump never arrived. “And by August, Mr. Cohen’s relationship with him had gone from fraught to hostile, casting a shadow on the Trump presidency and helping drive multiple criminal investigations into the president’s inner circle, including some that continued after the special counsel’s work ended. … Now, as Mr. Cohen prepares to head to prison in two weeks, dozens of previously unreported emails, text messages and other confidential documents reviewed by The New York Times suggest that his falling out with Mr. Trump may have been avoidable. HEATHER CAYGLE and LAURA BARRON-LOPEZ: “‘How do we make amends?’: House Dems debate reparations”: “Democrats have sidestepped the debate over reparations for African-Americans for decades. 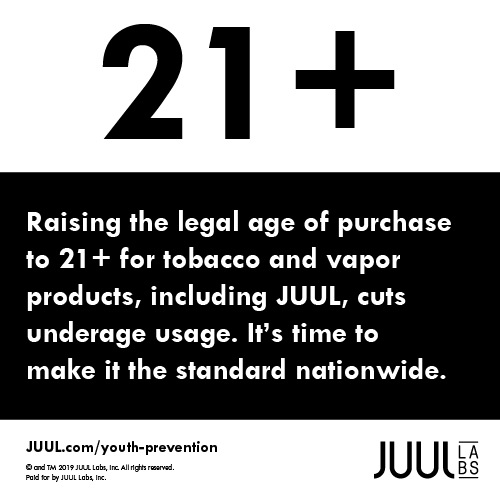 But now the issue is bubbling up in the House, and the new majority is wrestling with how to tackle it ahead of the 2020 campaign. Sparked in part by the support of several presidential contenders, the topic has been discussed multiple times by top House Democrats, including at their retreat in the exurbs of Virginia earlier this month. But the issue is likely to divide the party — not just by race, but by generation. THE TRUMP ADMINISTRATION — ANNIE SNIDER: “Interior’s Bernhardt worked closely on matters he promised to avoid”: “Interior Secretary David Bernhardt began working on policies that would aid one of his former lobbying clients within weeks of joining the Trump administration, according to a POLITICO analysis of agency documents — a revelation that adds to the ethics questions dogging his leadership of the agency. CASH DASH — “Republican National Committee raises $15.5 million in March,” by Maggie Severns: “The [RNC] raised $15.5 million in March and spent almost as much — $13.5 million — as the committee prepares for the campaign for President Donald Trump’s reelection. 2020 WATCH — “For Bernie Sanders, 2016 gets in the way of 2020,” by WaPo’s Sean Sullivan: “[T]here is growing uncertainty among Democrats about the Vermont independent’s desire to unite a party whose fissures have deepened and multiplied since his insurgent campaign against Hillary Clinton. In key respects, Sanders has been unable or unwilling to move beyond that bruising race, a posture that gives him a kinship with President Trump but has limited his embrace by Democrats. He frequently revisits his biggest 2016 triumphs and obstacles in speeches. HMM — “Claims of Shoddy Production Draw Scrutiny to a Second Boeing Jet: Workers at a 787 Dreamliner plant in South Carolina have complained of defective manufacturing, debris left on planes and pressure to not report violations,” by NYT’s Natalie Kitroeff and David Gelles in North Charleston, S.C.: “When Boeing broke ground on its new factory near Charleston in 2009, the plant was trumpeted as a state-of-the-art manufacturing hub, building one of the most advanced aircraft in the world. “But in the decade since, the factory, which makes the 787 Dreamliner, has been plagued by shoddy production and weak oversight that have threatened to compromise safety. A New York Times review of hundreds of pages of internal emails, corporate documents and federal records, as well as interviews with more than a dozen current and former employees, reveals a culture that often valued production speed over quality. SPOTTED: Speaker Nancy Pelosi and Paul Pelosi last night at the Broadway play “Network” in NYC … Madeleine Albright on Saturday at Monk’s BBQ in Purcellville, Va.
Rudy Giuliani said Sunday that President Donald Trump’s personal legal team had not produced a rebuttal to the Mueller report because they believe the public discourse since the redacted report’s release had so far been in their favor, even as he appeared to begin gearing up for a fight in Congress over the issue of obstruction. “So far we don’t think we need to,” Giuliani said in an interview on “Fox News Sunday” of the 30-to-40 page report his team had been reported to be assembling. The president’s personal attorney added at some point it “may become necessary” to release that report, alluding to the near certainty that Congress will take the issue up. Giuliani sparred with host Chris Wallace in his defense of Trump, arguing in an interview littered with interruptions from both men that it was misleading for Trump’s critics to point out that Mueller hadn’t exonerated the president in declining to bring charges against him for collusion or obstruction of justice. 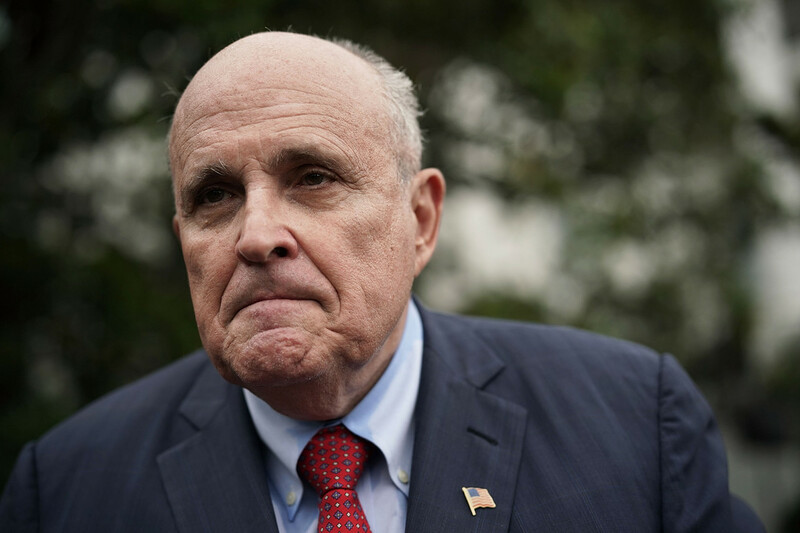 Though Giuliani seemed resigned to a congressional investigation of obstruction, he cast doubt on whether Congress could legally make a determination on whether Trump’s firing of FBI Director James Comey and his attempts to fire Mueller amounted to obstruction. Even so, Giuliani contended about the possibility of removing Mueller, “had he done it, it would not have been obstruction of justice” to fire Mueller because “there were very good reasons” to fire the special counsel due to perceived bias and conflicts of interests on Mueller’s team. And, he continued, Trump would have known that firing Mueller would not have halted the investigation because of the investigation continuing under different leadership when Trump fired Comey. According to Mueller’s report, which Giuliani denounced as “one-sided” and “infected” with bias despite hailing it for clearing the president legally, Trump asked then-White House counsel Don McGahn to remove Mueller from the investigation just days after media reports revealed the special counsel was looking into whether Trump obstructed justice and for the first time was personally a target of the investigation. McGahn refused to fire Mueller, instead threatening to resign rather than do so, putting him in the company of numerous other instances of Trump aides shutting down is attempts to thwart the investigation. “The president’s efforts to influence the investigation were mostly unsuccessful, but that is largely because the persons who surrounded the president declined to carry out orders or accede to his requests,” the report states. Despite Giuliani’s insistence that the only actions of Trump in question regarding obstruction were his firing of Comey and his attempted removal of Mueller, the special counsel’s report lays out eight other episodes where the president potentially obstructed justice. 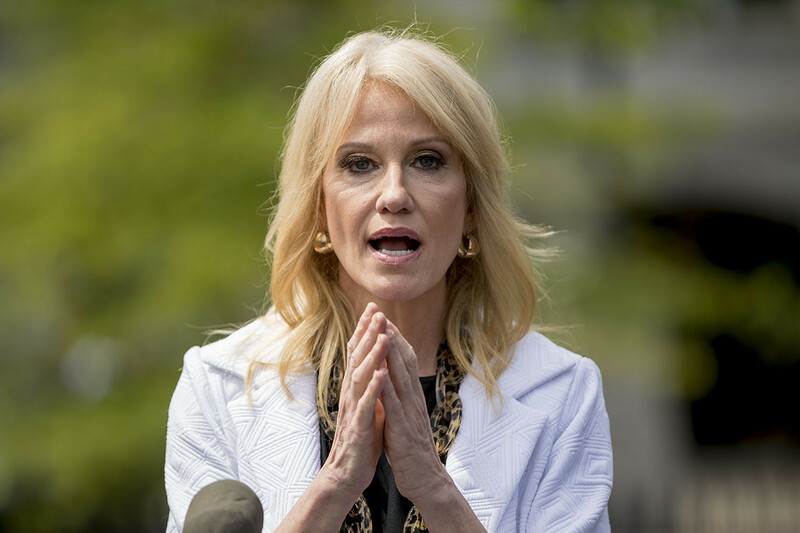 White House counselor Kellyanne Conway on Sunday criticized Robert Mueller’s decision not to rule on whether President Donald Trump obstructed justice during the course of the Russia investigation, and claimed that the special counsel’s inconclusive findings exonerated the president. Attorney General William Barr, as well as the president’s personal attorneys and allies, have argued that Trump did not obstruct justice because Mueller found that his 2016 campaign did not conspire with Russia to influence the results of the White House race. Conway took issue with that turn of phrase on Sunday. 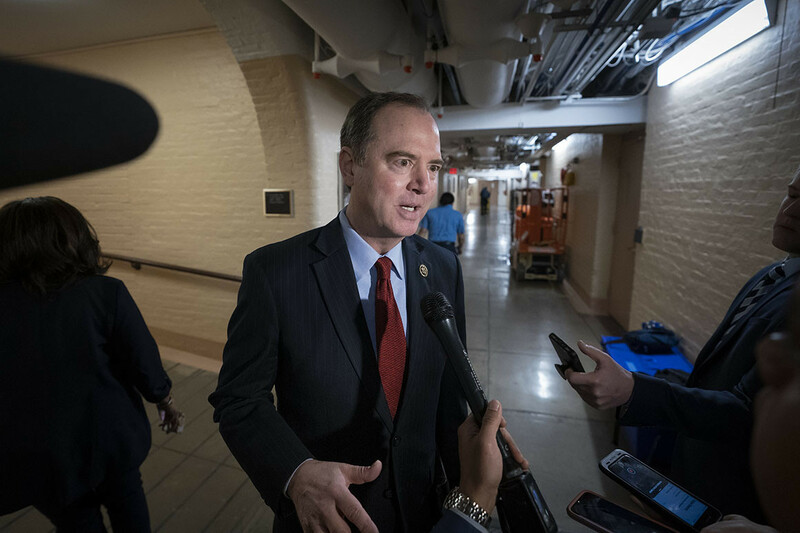 Schiff, the chairman of the House Intelligence Committee, has been the subject of frequent attacks by President Donald Trump and his supporters for insisting that the Trump campaign acted inappropriately during the 2016 election season by working with Russians who wished to see Trump elected.